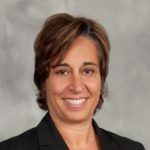 Lynda Rossi is Executive Vice President, Strategy, Government and Public Affairs of Blue Cross Blue Shield of Michigan. Rossi’s areas of executive leadership and oversight include the following: BCBSM Foundation; Corporate Communications; Corporate Strategy and Business Performance; Governmental Affairs & Public Policy; Office of National Health Reform; Office of the President and Social Mission. She also has executive responsibility for the company’s governance and prioritization process for strategic corporate initiatives and major projects. Recently Rossi successfully lead the effort to convert Blue Cross Blue Shield of Michigan to a nonprofit mutual insurer and is leading the enterprise and board of directors through all aspects of this monumental governance change. Rossi is President of the BCBSM Foundation Board, as well as a sitting member of the following boards: The Center for Healthcare Research and Transformation; Metropolitan Affairs Coalition and The AmeriHealth Caritas Family of Companies. She serves on the BCBSM President’s Operating Committee and the Executive Committee of that body, which is responsible for setting corporate direction and overseeing the performance of the business. Rossi joined the Blues in 2007 after many years of state government public service.